Steitz has studied RNA since the 1960s. She made a name for herself early in her career when she demonstrated that ribosomes use complementary base pairing to start translating mRNA. And, she discovered snRNPs, small non-coding RNAs that are crucial for modifying mRNA before it is translated into proteins. Today, Steitz is a Howard Hughes Medical Institute Investigator, a member of the National Academy of Sciences, the winner of numerous awards, and Sterling Professor of Molecular Biophysics and Biochemistry at Yale, as well as being an integral part of the JCC Fund leadership. But Steitz might never have become such a successful scientist if she hadn’t overcome significant hurdles. Without female mentors in science, she couldn’t imagine herself as a prominent researcher, so she earned a BS in chemistry and then applied to medical school. But after a summer working in a lab, she was encouraged to attend graduate school at Harvard, where she studied under James Watson. Her successes there led to a JCC Fellowship at the Medical Research Council Laboratory of Molecular Biology at Cambridge. But even after she developed her stellar science record, when her husband Tom Steitz took up a faculty position at UC Berkeley and inquired about a position for Joan, the department urged her to accept an associate research position in the lab of a male faculty member. The couple began their faculty careers at Yale instead. At the time, the only known RNA-RNA base pairing was between mRNA and tRNA. But Steitz soon isolated and characterized the rRNA-mRNA interaction at the ribosome. Later, she identified snRNPs, or small nuclear ribonucleoprotein particles, and how they recognize where to splice the mRNA precursor. More recently, she uncovered how noncoding RNAs produced by Herpesvirus saimiri and Epstein-Barr viruses disrupt host cell functions. Teaching and mentoring young scientists and advocating for women in science has also been a hallmark of Steitz’s career. 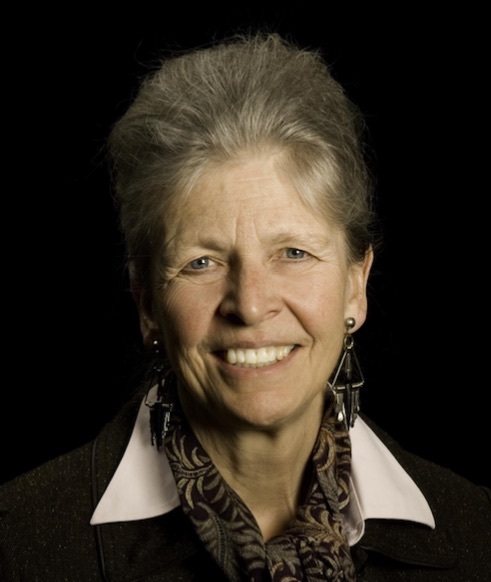 In the mid-2000s, she co-authored the influential National Academy of Sciences report, “Beyond Bias and Barriers,” which recommended specific, evidence-based actions to support women in science and engineering. During her 10-year leadership as Chair of the JCC’s Board of Scientific Advisors, Steitz instituted a program to offer women JCC Fellows childcare stipends. Recently, she donated a “significant fraction” the Lasker prize to this program. Former JCC Fellow Rachel Mitton-Fry was one scientist who benefited from Steitz’s mentorship. Mitton-Fry had worked in Steitz’s lab for about a year when she became pregnant with her second child. Early prenatal screens suggested an extremely high probability of having a child with major problems. “It was a very scary time,” says Mitton-Fry. The two women met to discuss Mitton-Fry’s future. “Joan told me, ‘You’re not leaving. You’re just taking a leave of absence,” she said. They decided she would take several months off, then reassess the situation. Once again, Steitz stepped in, suggesting a part-time postdoctoral fellowship. A part-time postdoc? Who had ever heard of such a thing? Steitz, who had spent more than 20 years involved with the JCC as a fellow, a member of the Board of Scientific Advisors, Chair of the BSA, and a member of the Board of Managers, worked out a plan with the organization. Even though the solution was virtually unprecedented, Mitton-Fry returned to Steitz’s lab to work part-time hours and earn a part-time salary. Her research was published in Science, and, in the spring of 2018, she earned tenure at Denison University.